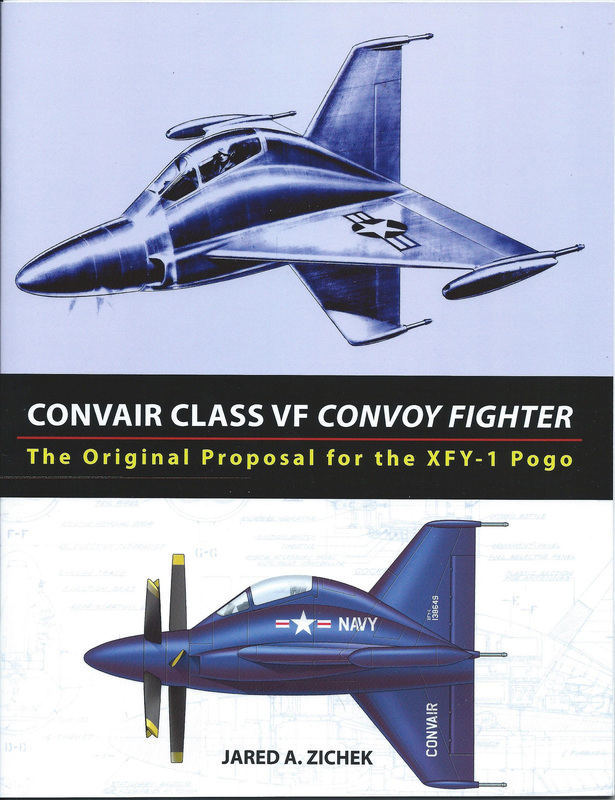 This book covers the proposal in 1950 that lead to the XFY-1 Pogo, the Convair Class VF Convoy Fighter! This called for an aircraft capable of vertical takeoff and landing from ship and shore to protect ships in a convoy from enemy aircraft. 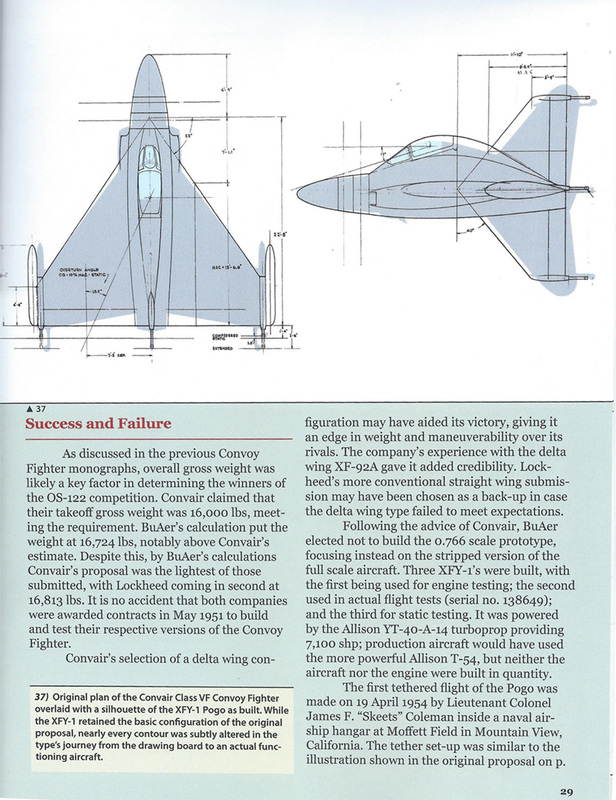 The Convair design was one of a total of five that the Navy received. 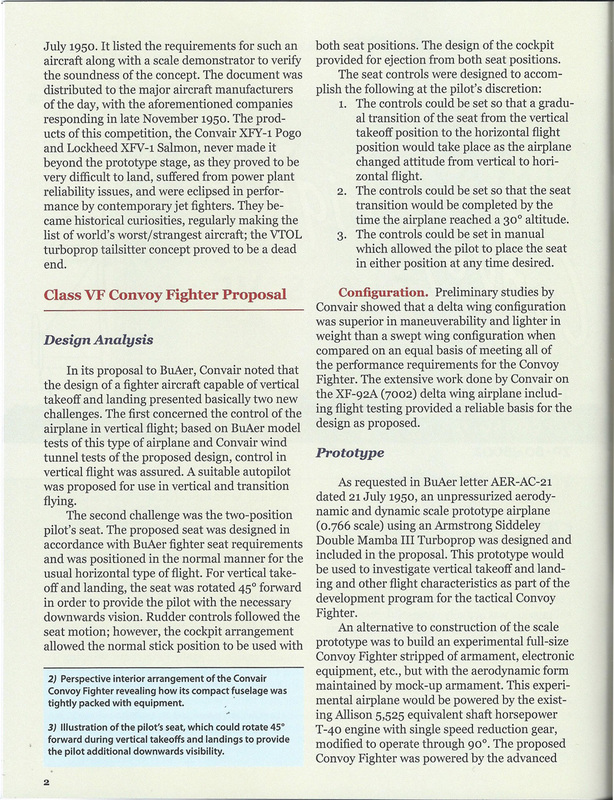 The book is logically laid out beginning with an introduction to explain the history of the concept, and then goes directly into the Convair proposal. 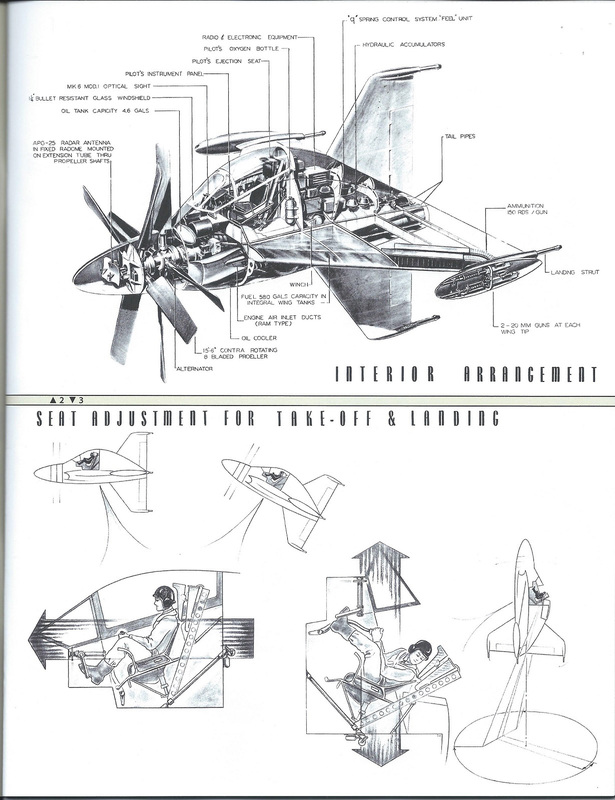 Cutaway drawings showing the aircraft internals, the seat adjustment for takeoff and landing, general description and so on are provided. The many technical drawings show armament, engine layout, assembly breakdown. In addition there is discussion for a proposal to the US Army for an observation version of this aircraft for that service. This was ultimately rejected. Color drawings of this can be found on the back cover. 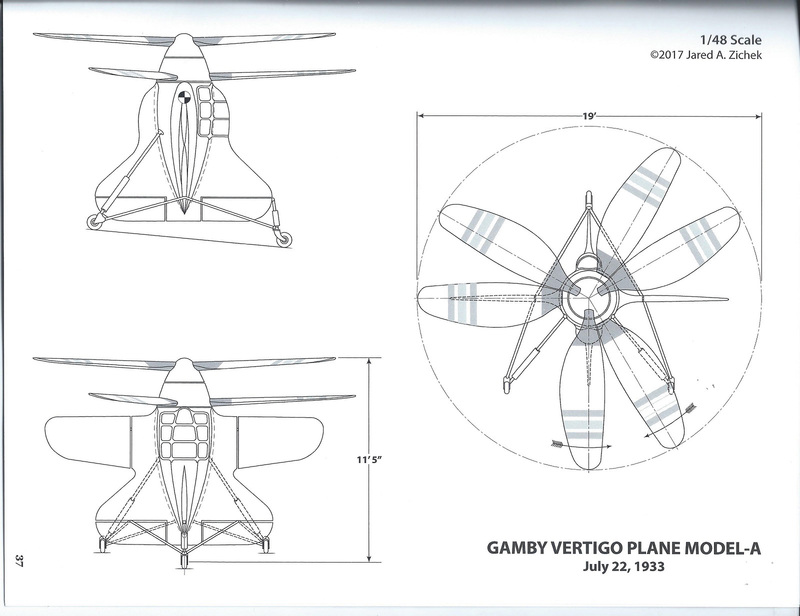 The book concludes with discussion and drawings of the Gamby Vertigo plane of 1933, an early VTOL tailsitter aircraft design. This is an interesting booklet and will make a great companion book for the Ginter book on the Pogo as these two books from different publishers go hand in hand. RetroMechanix has given us the proposal in great detail and a good analysis of the reasons it failed. 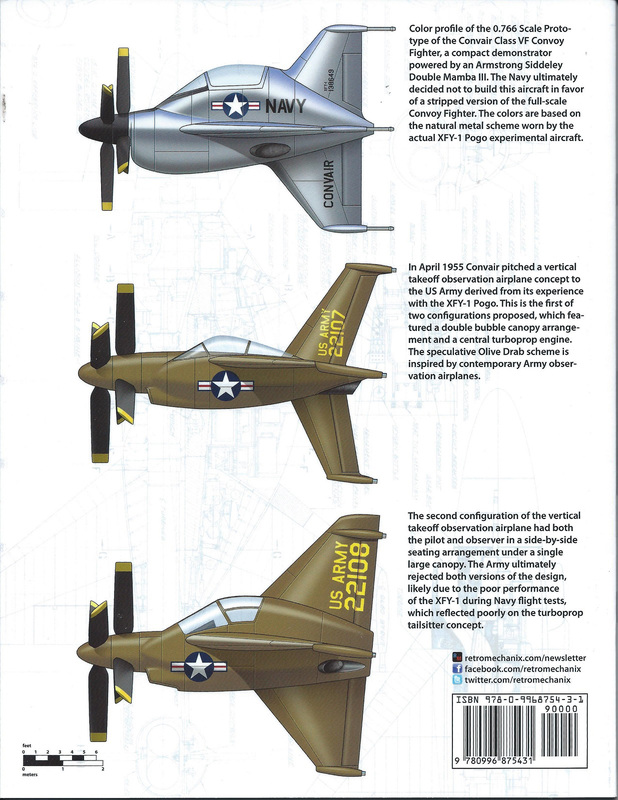 The 1950s were a time of great experimentation and radical design thoughts for aircraft. This booklet shows one of the most radical of them all. 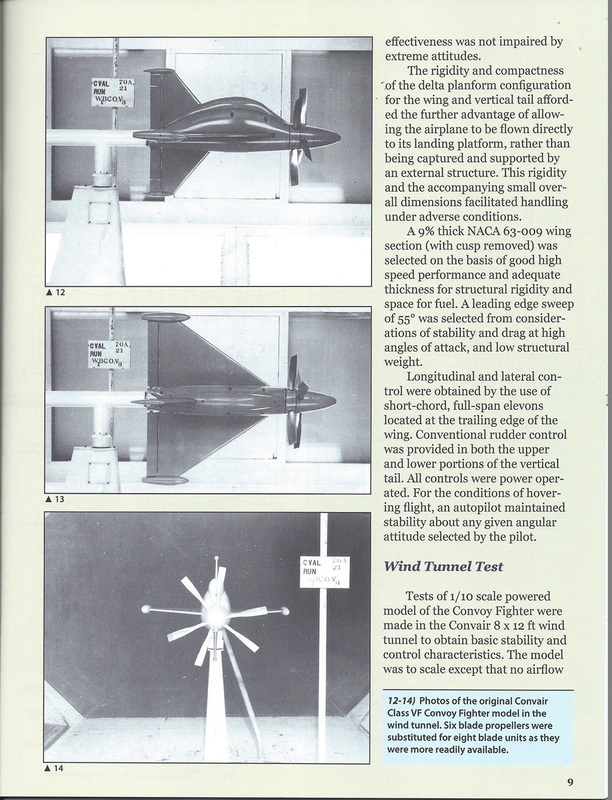 It is recommended to all with an interest in prototypes, 1950s military aviation, and unusual aircraft. For the scratch builder there is much here to be used to produce models of the various proposals.